Project management is a vital tool for a lot of businesses, from the large and the medium to even, in some cases, the small. And when you’re needing to get your projects under control, the folks at Interstate are ready to step in with a whole new version of their project management software. Following a successful run at some venture capital, Interstate launched version two of its service just a couple days ago, giving Interstate a much more fully-featured version with a freemium pricing model. 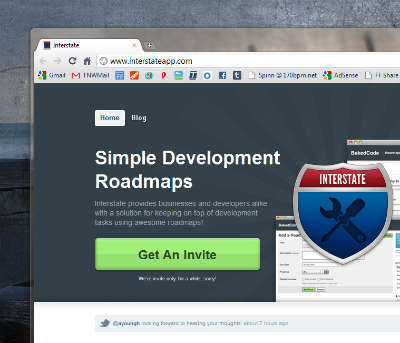 Until now, Interstate was just free to use, but now, there are plenty of new features added to punch up the release. 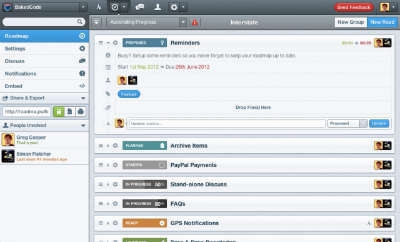 While previously, Interstate brought a series of useful apps for project management, giving users the opportunity to make roadmaps of their projects that were easily shared among all the various stakeholders in a project, now Interstate brings real-time chat capability, as well as the ability to put the roadmaps created for projects to a central website. The real-time chat systems were, at last report, not really part of the original mission, but were added on following the realization that adding them would help provide extra content to tasks, and since many of Interstate’s users were using IRC and the like to talk about the roadmaps anyway, Interstate just figured it would be useful to have all of those features under one umbrella. Meanwhile, the freemium pricing model now allows for free accounts for two users, but then requires $9 per user thereafter. This gives Interstate some room to recover its investment, and by current reports, most of the customer base is already very happy with Interstate as the free customers can see what’s going on before bringing the idea back to the rest of the company, which will have to pay for it, but at least they’ll know they’re getting a good deal. Project management by itself, though, won’t make a business of any size hum along smoothly, and cloud-based telephony features like call recording to help improve customer service and protect against some lawsuits, as well as multiple extensions to allow any size office to handle conditions easily, will provide extra help in keeping your business running. And while Interstate is proving its worth on the app market, there will be plenty of other useful items to help out. But in terms of scalability and sheer usefulness, Interstate should be a very welcome system.